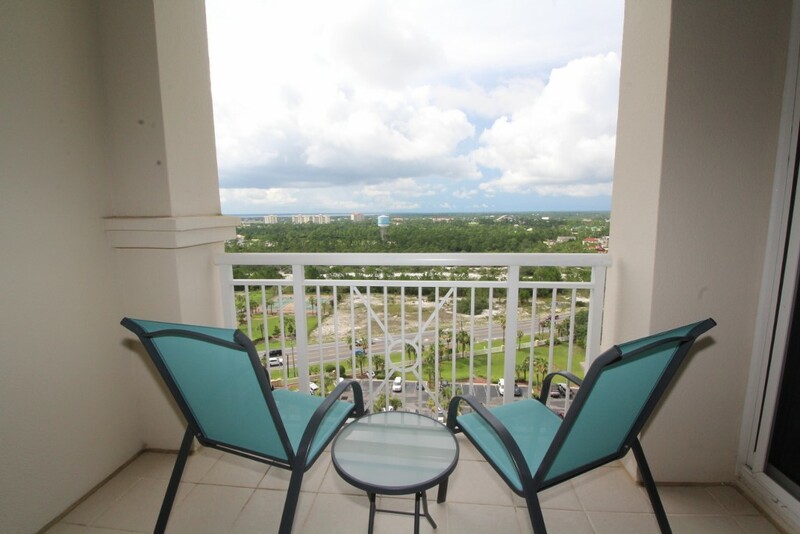 Make your dream vacation come true by staying in this stunning 2 bedroom, 2 bath 15th floor Indigo unit! 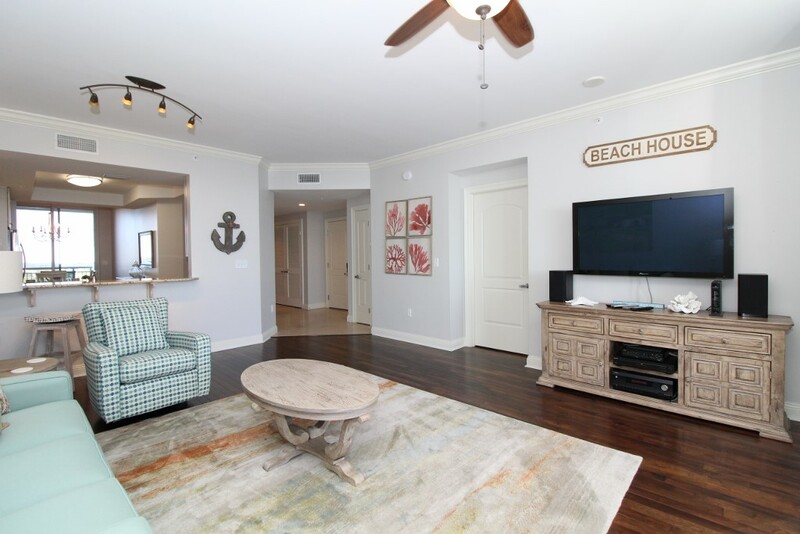 The Indigo Resort is the most desirable and luxurious destination in Perdido Key, situated on a stretch of the Gulf Coast’s most treasured seashores and offering opulence, style and endless amenities. 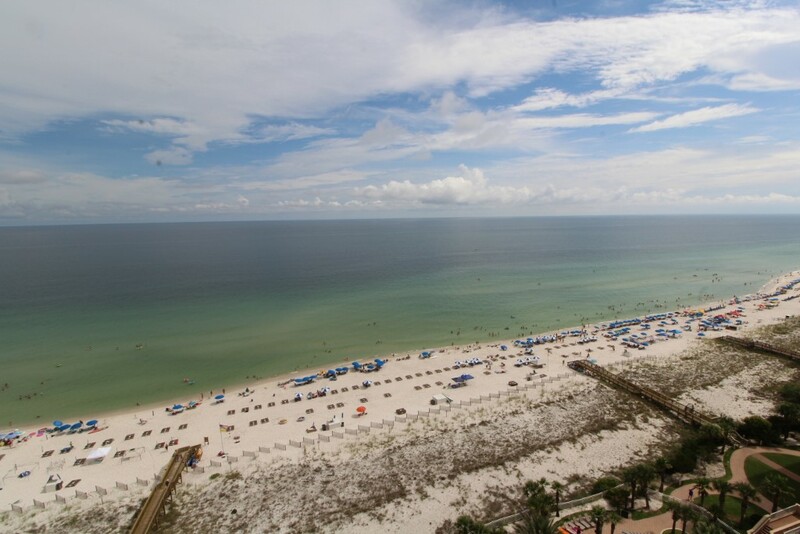 The unspoiled sugar white sands and emerald waters of the Gulf of Mexico create the perfect setting for an incredible and unforgettable beach vacation. 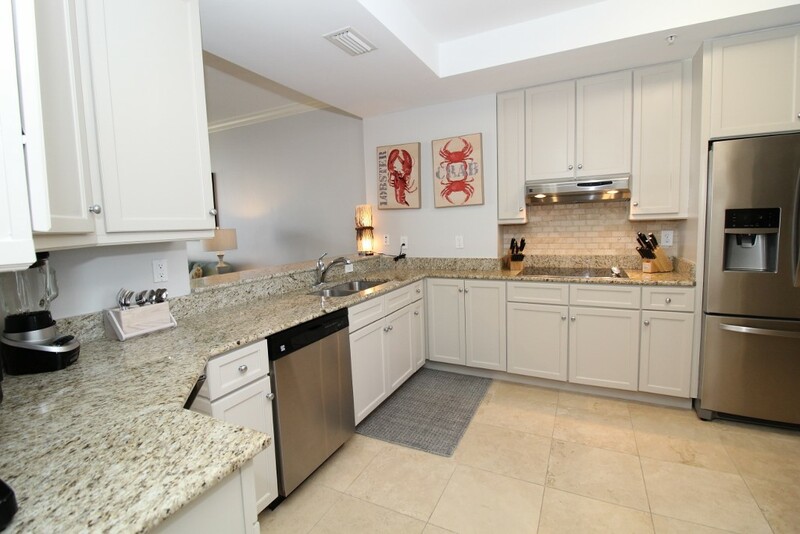 Over 1600 square feet of luxury await you in this newly updated and professionally decorated unit, creating a space teeming with ambiance and sophistication. 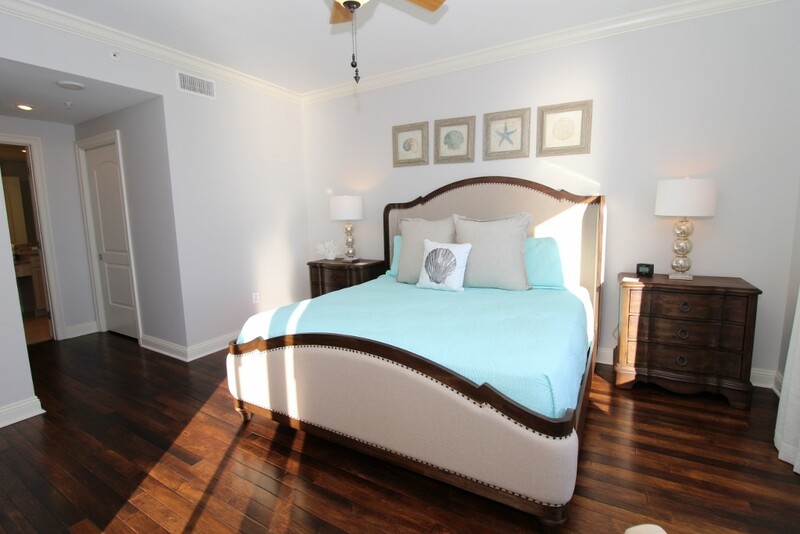 Adorned in a beach-chic aesthetic including bright aqua hues paired with calming neutrals, this beachfront abode exudes a spa-like atmosphere ideal for an indulgent coastal vacation experience. 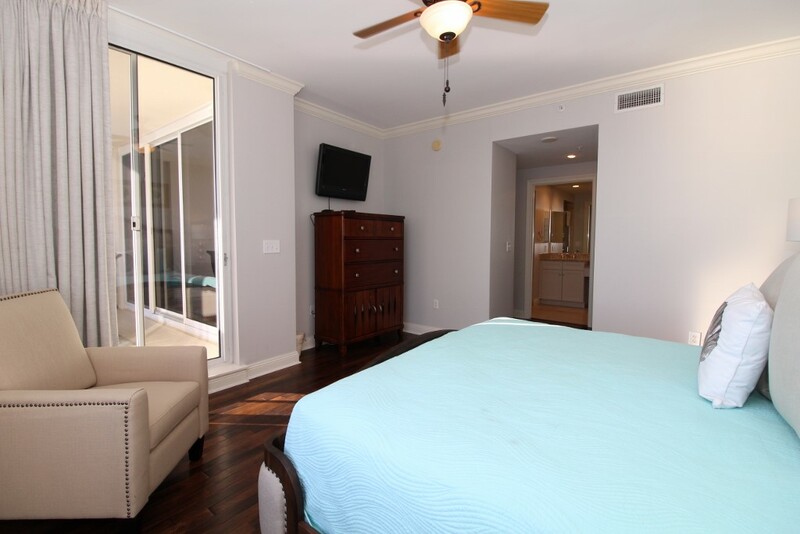 The living room affords plenty of seating, with a plush sofa, 2 soft cushioned chairs, and a large wall-mounted flat screen HD smart television. 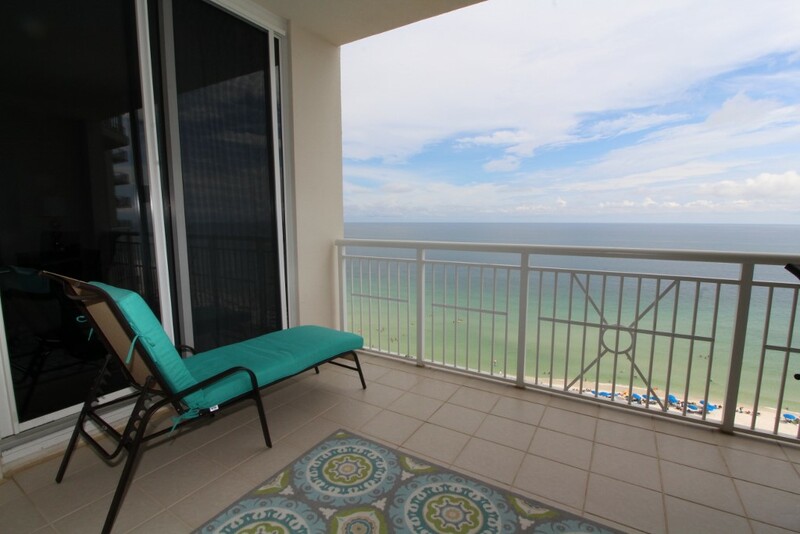 Perhaps best of all, the floor-to-ceiling sliding glass doors open up to a spacious beachfront balcony where you can sit back, relax and enjoy the splendorous beauty of the Gulf of Mexico from the comfort of your private covered terrace. 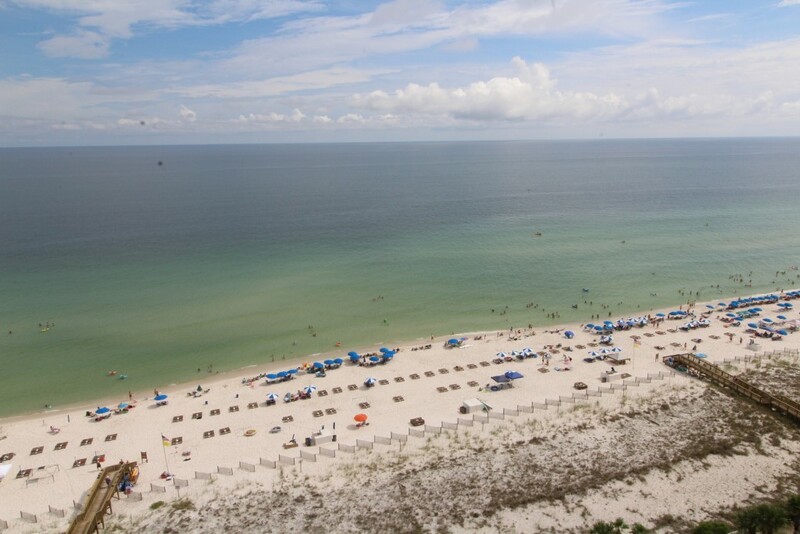 With sugar white quartz sands and sparkling emerald-turquoise waters of coastline stretching for miles in both directions, you're sure to spend most of your time gazing out into the limitless expanse of the horizon and pondering the beauty and vastness of the Gulf of Mexico! 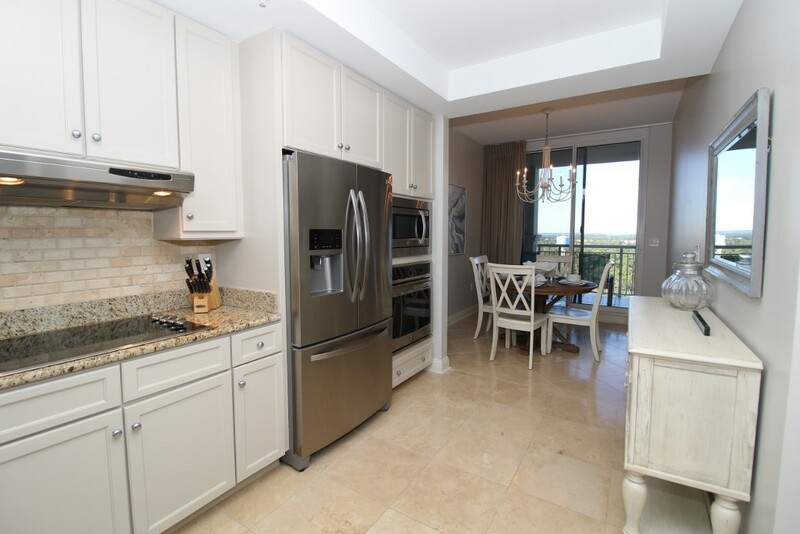 A fully equipped luxury kitchen includes a breakfast bar pass-through, upgraded stainless appliances including a dishwasher, separate smooth cook top, double wall ovens, and a french door refrigerator with in-door ice & water dispenser. 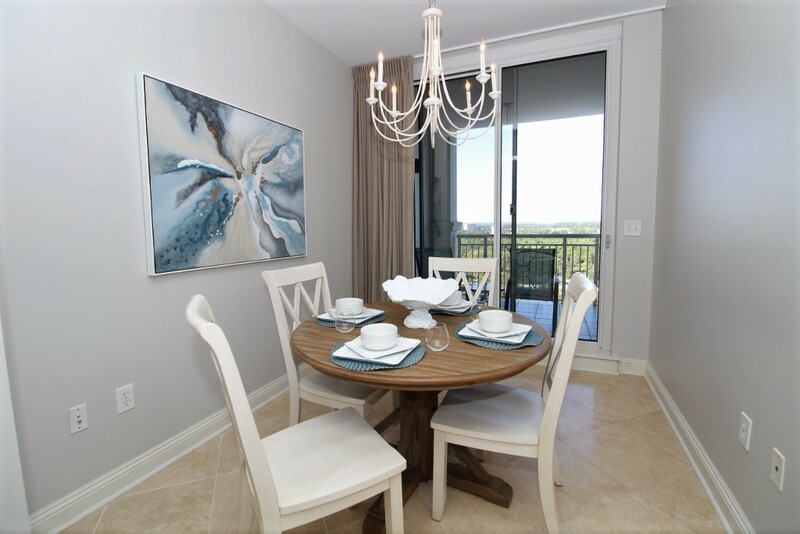 A separate dining area features an elegant dining table with plenty of seating, with additional chairs at the breakfast bar! 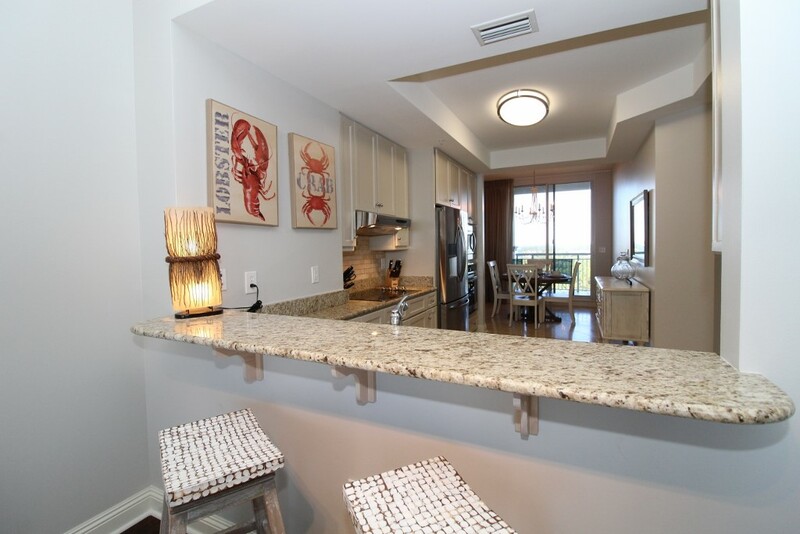 The dining area is adjacent to sliding glass doors leading out to the north balcony, where views of Perdido Key and the Intercoastal Waterway can be enjoyed as well! 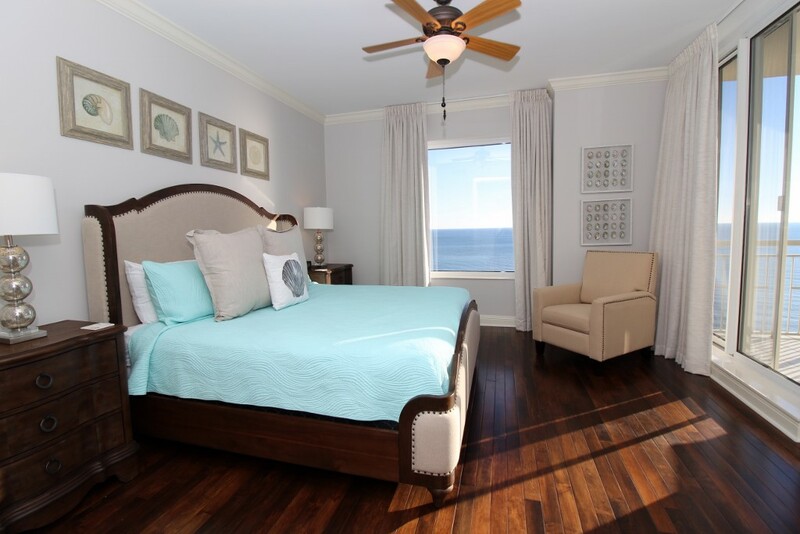 The Gulf front master suite offers luxury touches and furnishings throughout, featuring beautiful hardwood floors paired with light and airy decor, a premium king mattress, luxury linens, another wall-mounted flat screen and a sitting chair. 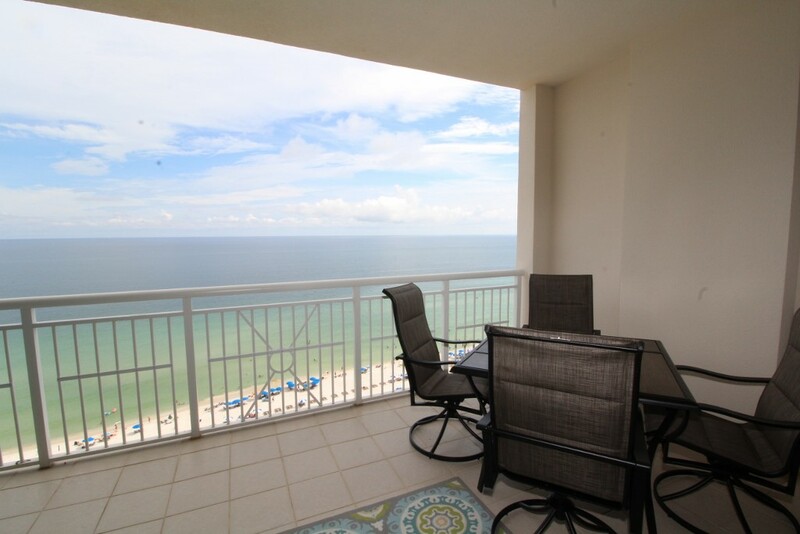 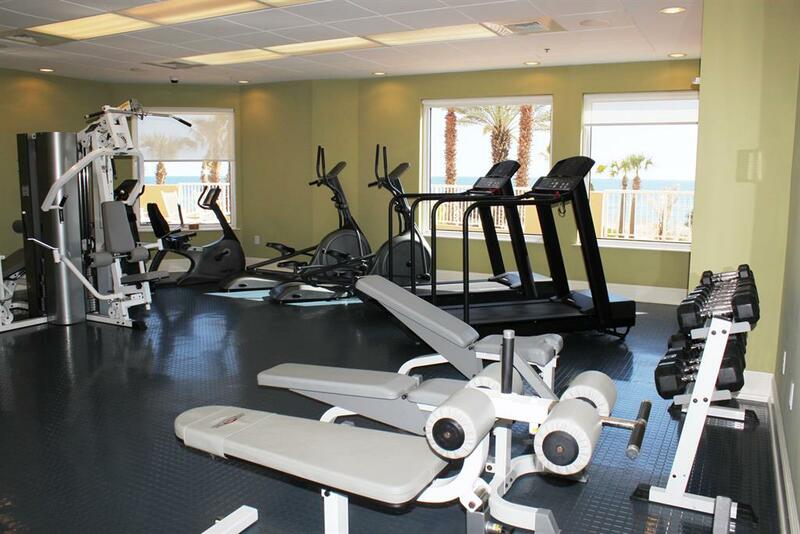 The sliding glass door opens to the beachfront balcony, boasting incredible Gulf views! 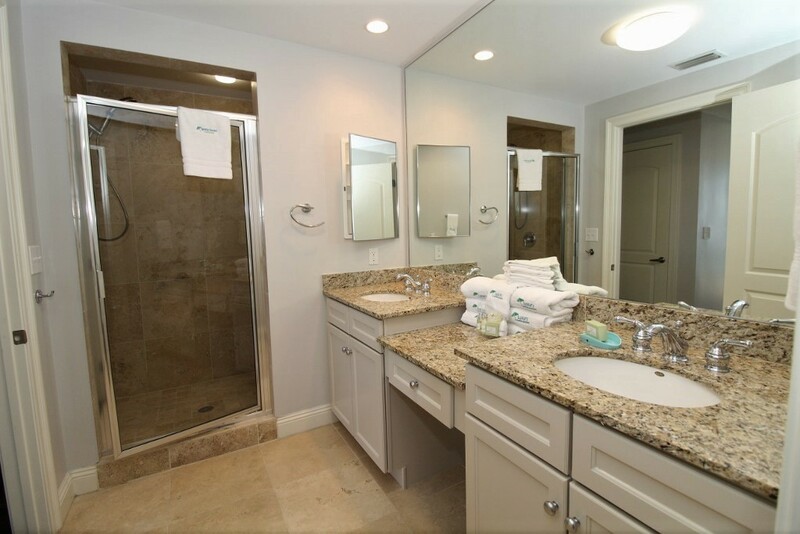 The attached master bath offers custom built in cabinets, double vanities with granite countertops, a walk-in glass and travertine shower and travertine floors. 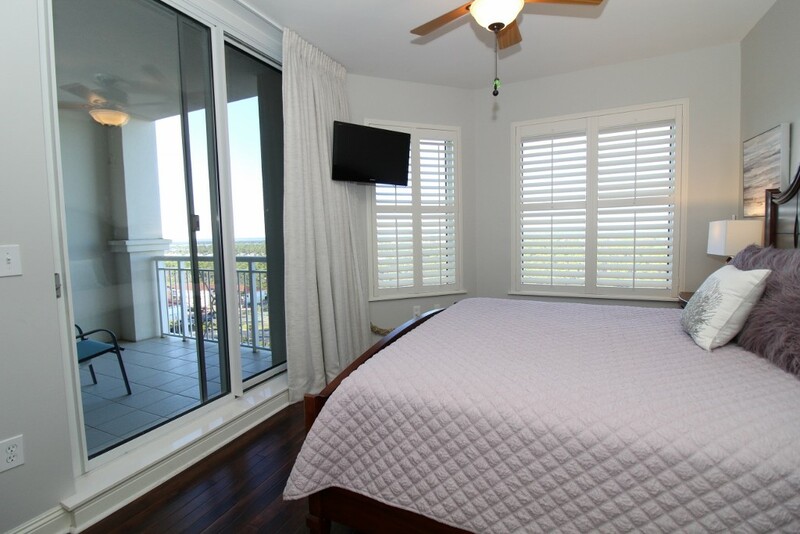 The second master suite is equally impressive, also offering a king bed with a premium mattress, high thread count linens and bedding and a wall-mounted flat screen, not to mention North balcony access boasting spectacular views of Old River and the Intercoastal Waterway! 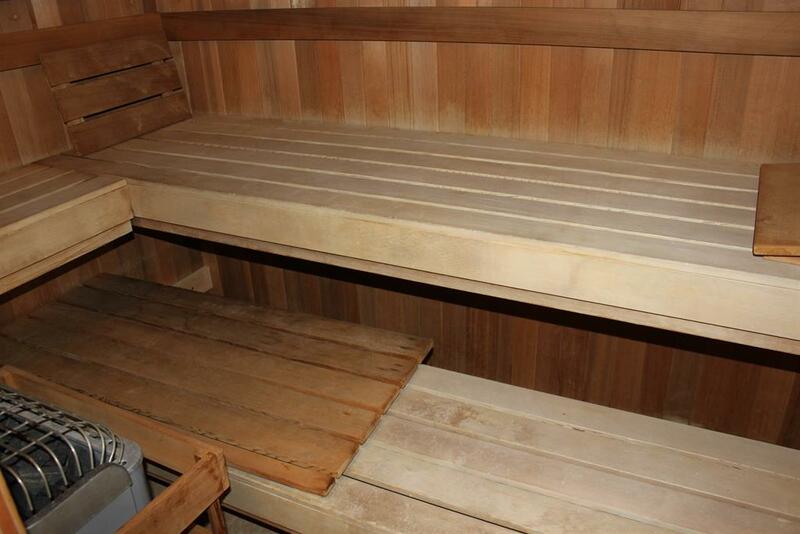 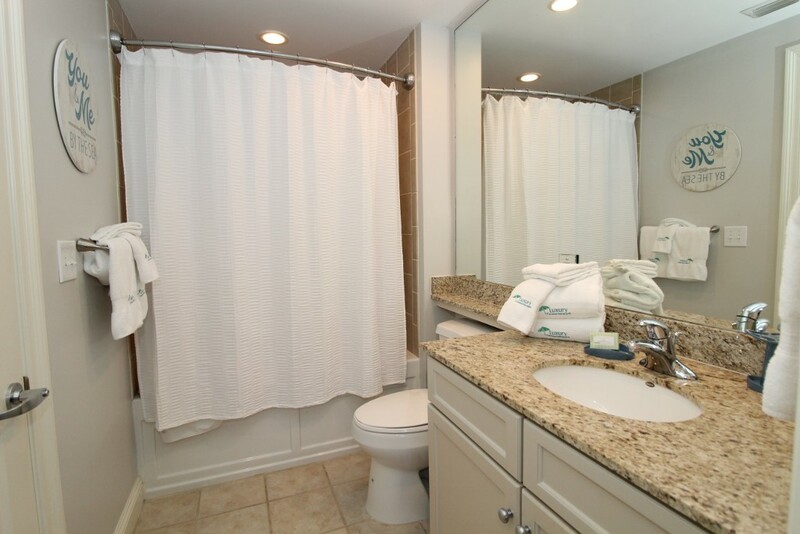 The spacious second bath is attached, hosting twin vanities, granite countertops and fluffy 100% cotton bath towel sets! 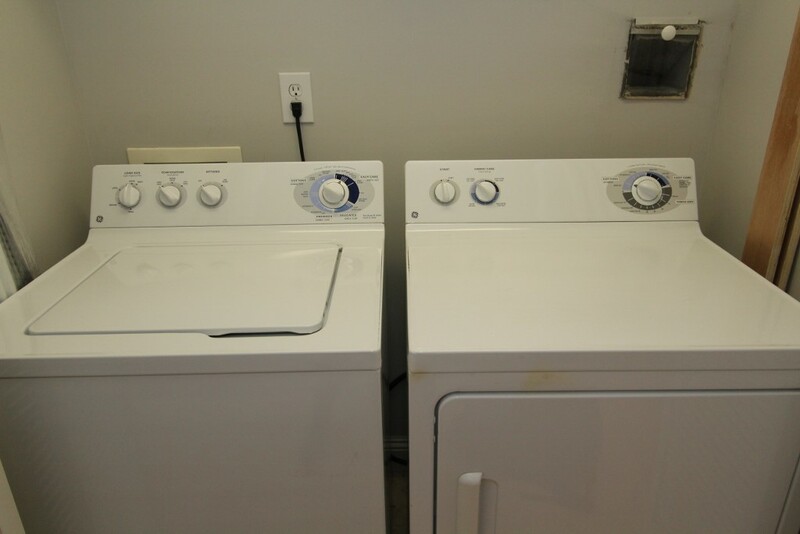 Luxury extras include high speed wifi, a private foyer characteristic of each Indigo unit, and the convenience of an in-unit washer and dryer and conveniently located trash chute right outside your door. 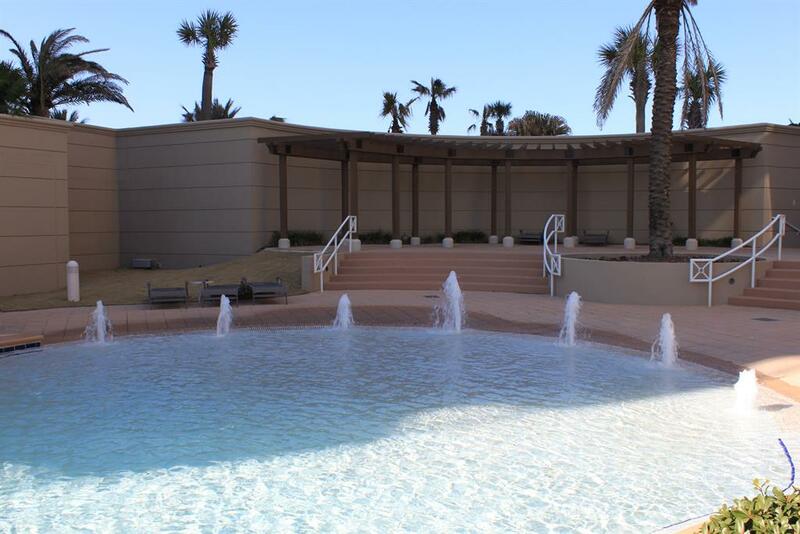 Indigo features an array of luxurious amenities, including gated entry, a 6000 gallon zero entry resort-style pool and gazebo, hot tub, an additional seasonally heated smaller pool, outdoor grills, lighted tennis courts, fully equipped fitness centers, saunas and steam rooms, a private 12 person theater, dedicated check-in desk and garage parking, to name a few!